Topics: Electrical Services, Fire Alarms & Emergency Lighting, and Air Compressors. nsb.yell.com, and nsa.yell.com are its DNS Nameservers. 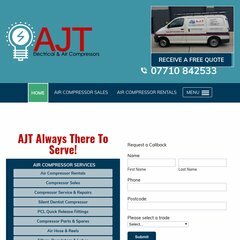 Ajtelectrical.co.uk's server IP number is 93.184.220.60.